Double Glazing Energy Performance. Unfortunately, there are still many architects who’re yet to realize how much your home’s energy performance depends on the windows. Although regular glass windows are great for letting in sunlight, they’re terrible insulators. They also do little to block the Sun’s extreme heat during the summer season. Windows can easily lose a lot of heat through the glass. Heat can also leak around the edges of the window frame. Most homes in the United Kingdom have been using double glazed windows to create energy efficient homes. These windows have been extremely popular in Europe. They were initially designed for winters in Scandinavia and Canada. As the name suggests, these windows are made up of two different panes of glass. Thus, they’re able to provide better insulation than standard windows. Regular windows do not have any layers or air pockets in them. Thus, they don’t provide good insulation like double glazing. The glass is also treated to improve the energy performance of your home. Most manufacturers fill the air gap with an inert gas. This helps reduce significant heat loss. These were some of the most popular reasons why double glazing has been extremely popular in the United Kingdom. According to a report released by the Energy Saving Trust, over 25% heat loss in residential properties is because of windows. 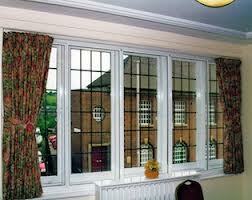 Double glazing can effectively reduce heat loss by over 15% than double glazed windows. Better insulation can save a lot of your hard earned money on utility bills. In addition to this, double glazed windows also allow greater solar heating. This means outside energy is properly trapped and stored within your home. Thus, heat stays in because of thermal insulation properties of these windows. If your house has been insulated for floors, roof and walls, it also needs glazed windows. Without double glazed windows, it may have many cold spots around your windows. This will result in condensation and drafts. Where Should You Use Double Glazing? Although double glazed windows are more expensive, they help you save a lot of money on utility bills. Thus, they can pay for themselves in a couple of years. The extra weight of these windows is not a problem with vertical glazing. The lintels and walls will be able to carry the additional weight. If you want double glazing for a large skylight or patio door, you may have to adjust the frame to provide support to additional weight of the glass. Double Glazing Energy Performance. For better insulation and energy performance, you should always choose a reputed manufacturer of double glazed windows.